Malcolm James McCormick is one of the most talented young rappers in the American hip hop industry. The boyishly handsome McCormick is universally known in the industry as Mac Miller. He is an accomplished rapper whose debut studio album called Blue Slide Park went on to peak on the top of the charts at Billboard 200 the year it was released. 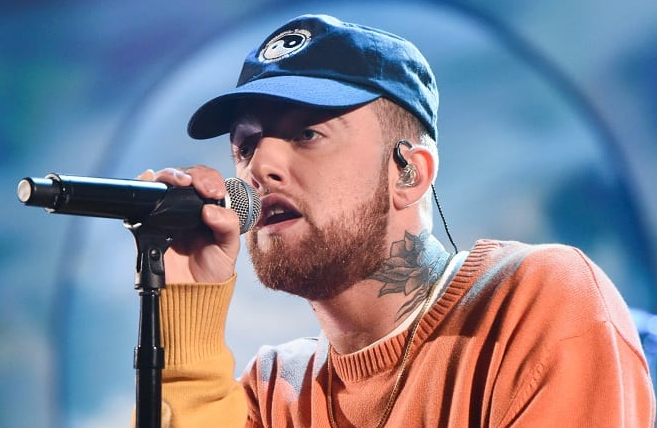 Mac Miller died at the age of 26 on September 7, 2018, at Studio City, Los Angeles, California, the U.S. due to drug overdose. Born on January 19, 1992, the twenty-three year old American musician also goes by the monikers, Larry Lovestein & The Velvet Revival and Delusional Thomas. As a record producer, he works under the alias, Larry Fisherman. Miller’s hometown, Pittsburgh, has sparked references in many of his songs. He was born in the Point Breeze neighborhood of Pittsburg to Mark McCormick and Karen Meyers. His father is an architect and his mother is a photographer. Miller is Jewish, as is his mother. He attended Taylor Allerdice High School during which he became devoted to making it big in the hip-hop industry. He was so much indulged in making and selling his music during his high school days that he barely made it to his classes but still managed to graduate. Miller has a height of 170 cm and weight of 73 Kg. At fourteen, he began rapping and had been interested in singing and writing songs long before then. When Miller was fifteen, he released his first mixtape called But My Mackin’ Ain’t Easy. During this time, he was popularly recognized as EZ Mac. He was a member of The Ill Spoken alongside hip-hop artist Beedie. Together they released How High. In 2006, Miller released The High Life and The Jukebox: Prelude to Class Clown. He was signed by Rostrum Records in 2010 after its president showed interest in taking his career to a new height. A mixtape, K.I.D.S. saw release in August 2010 under the label and the same year he toured for the first time. His Best Day Ever mixtape was released in 2011 which contained hits All Around the World and Wear My Hat. His debut album was called Blue Slide Park and was released in the fall of 2011. A month prior to its release, in November, I Love Life, Thank You was released. Blue Slide Park reached the number one spot on the Billboard 200 and sold over 100,000 copies in its first week of release. That year, he was one of the rappers who were selected for the Freshman Class of 2011 by XXL Magazine. Watching Movies with the Sound Off is his second studio album which was released in 2013 and featured artists like Schoolboy Q, Earl Sweatshirt, the Creator, Jay Electronica, Ab-Soul and Tyler. As Larry Fisherman, he released Run-On Sentences Vol.1. In 2013, he created REMember Music. He produced Vince Staples’s Stolen Youth that year. He also toured around Europe with 2 Chainz and Lil Wayne. A mixtape, Delusional Thomas, was produced and released by him on October 31, 2013. A live album called Live From Space was released on December 17, 2013. In early 2014, he announced his departure from Rostrum Records and in May released Faces. He signed a $10 million record deal with Warner Bros. Records in 2014. He is the star of the MTV2 reality series, Mac Miller and the Most Dope Family which premiered in 2013. On January 14, 2014, Miller announced he was no longer signed to Rostrum Records. On 30th May 2018, Miller released "Smaller Worlds", the first single from his fifth studio album, Swimming. The album was announced on July 13, 2018, and released on August 3, 2018. Until 2013, he was in a relationship with his longtime girlfriend. After he collaborated with pop singer Ariana Grande for her single, The Way, rumors were fueled by the two dating. However, he denied any romantic relationship with the singer. 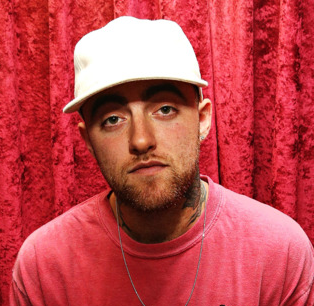 The great rapper, Mac Miller had a net worth of $9 Million. Miller’s music influences include artists like Outkast, the Beastie Boys, Big L, A Tribe Called Quest and Outkast. He is also greatly influenced by Wiz Khalifa. In 2013, Miller revealed that he had been heavily using purple drank in the past year and was able to rehabilitate himself. Mac was a chain smoker. While in his senior year at the Taylor Allderdice School, he had his own apartment, which he had bought using inheritance money left by his grandfather. When he was starting out as a rapper, he used to steal televisions and remove money from girls’ purses at the parties to pay for the studio time. He started smoking weed in the 5th grade and he later started selling weed to raise funds for his music activities. Mac wanted to become a singer but he soon realized that his skill set was more suited to rapping after giving it a try at the age of 14.